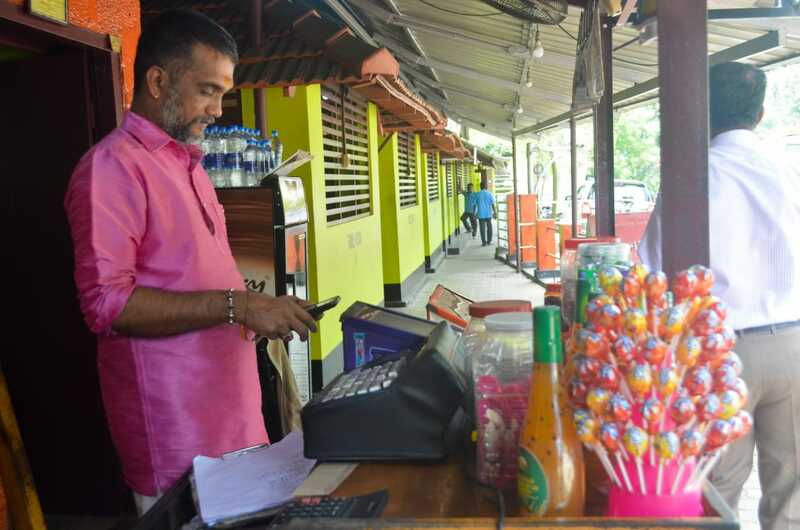 Vazhiyorakkada has the reputation of being one of the very few restaurants in South Kerala that provides traditional Kerala food in its original sense. The food we provide at our restaurant are traditional Kerala dishes and we try our best to maintain the authentic taste and quality to all the dishes that we make. We use only the freshest meat and the healthiest ingredients for all the dishes that we prepare since it is our motto to provide the best quality food at the lowest price possible. 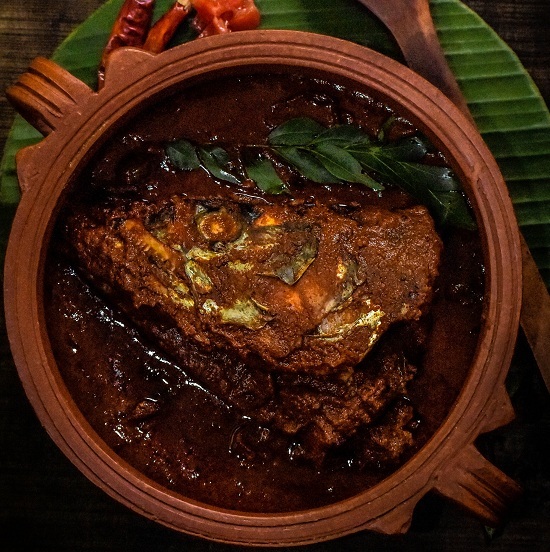 We have a list of about 20 to 25 dishes that we prepare everyday and the ‘naadan oonu’ or the traditional Kerala meals is one of the most ordered dish in our traditional Kerala restaurant. Besides these, Vazhiyorakkada have several other dishes that are loved and highly demanded by customers. 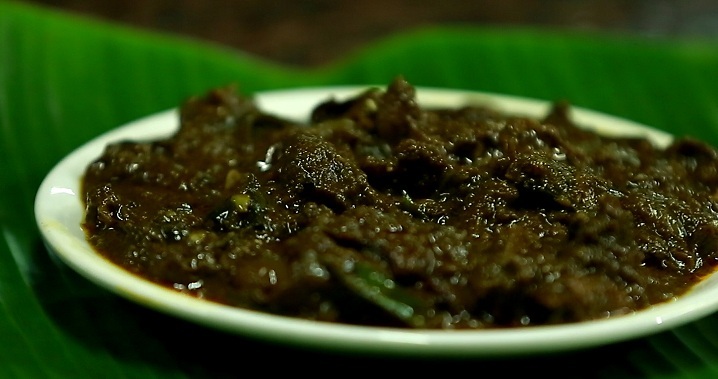 On a daily basis, vazhiyorakkada prepares around 20 to 25 traditional dishes. Live ducks for the preparation of Vazhiyorakkada duck roast is bought directly from Kuttanad in Alappuzha. This is done so as to maintain the authentic taste and flavors of the traditional duck roast. This dish is made in the traditional manner with each ingredients added carefully to maintain its unique taste and consistency. 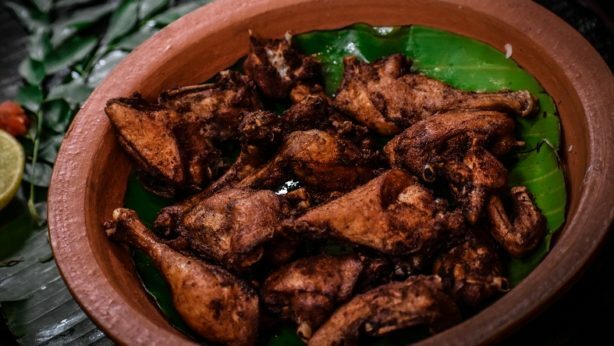 This dish is one of the top selling items at Vazhiyorakkada and it is one of very few shops in Trivandrum where we get traditional Kuttanadan duck roast. 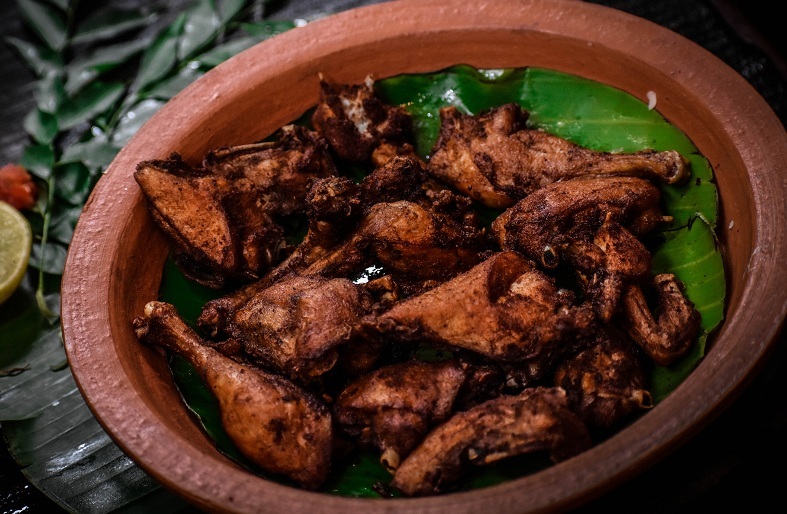 Tender chicken fry is one of another speciality dishes of vazhiyorakkada. The chicken are grown in our own farm with great care without giving of any antibiotics. The fry is made adding traditional grounded spices and are fried using pure coconut oil. This again is one of the top dishes that is ordered at vazhiyorakkada. It is a must try dish for all these food lovers who visit our shop. 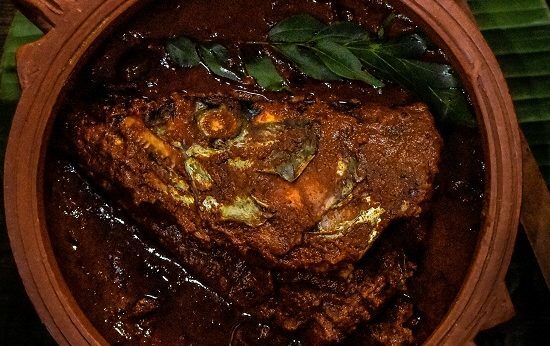 For thala curry, fishes are bought daily from the market and is prepared in the traditional manner as that of a ‘Kallu Shappu’. 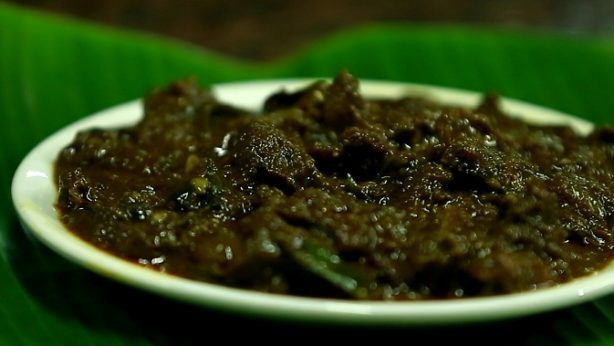 It is spicy and is one of the most sought after dishes at vazhiyorakkada. The aromatic taste of spices is sure to make you a fan of Thala Curry. It goes fine with Kappa, poratta etc. 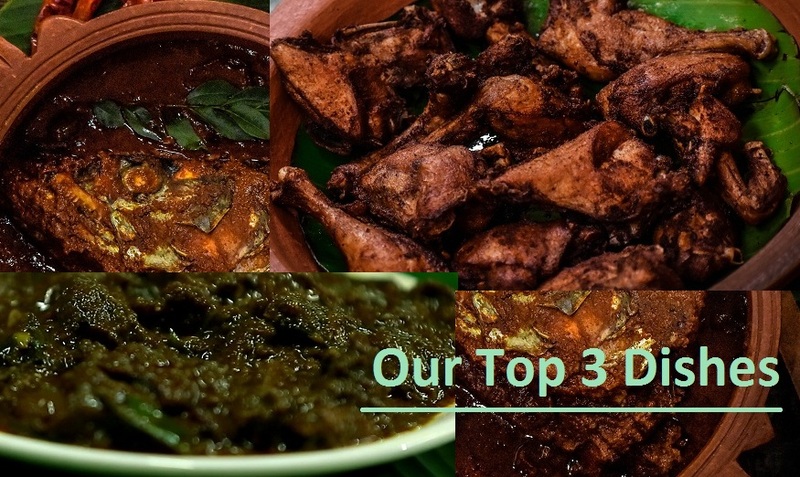 These are the top 3 dishes that are ordered at vazhiyorakkada and it should be noted that these are naadan food, which means a that we still have not forgotten the traditional taste that our parents and grandparents has made for us. Don’t forget to try these dishes when you visit our restaurant next time.